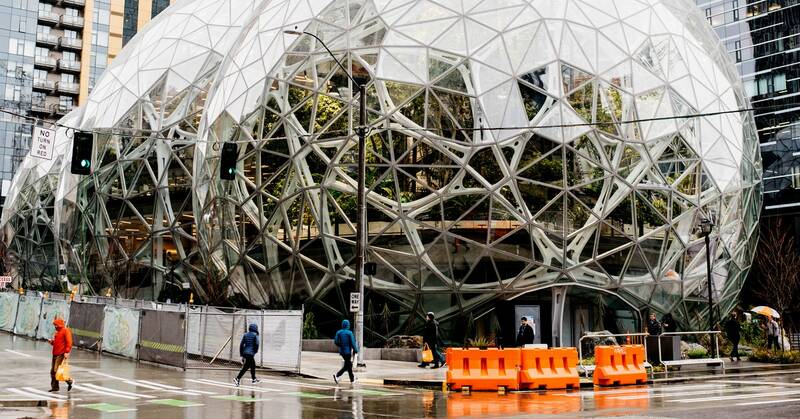 Amazon employees are using their company-issued stock to pressure top brass into reducing the company’s contributions to climate change, in what may be an unprecedented effort to expand tech-worker unease to a new arena: shareholder activism. Amazon’s proxy statement, released Thursday, includes an employee-backed resolution asking the company to report publicly on how it plans to reduce its reliance on fossil fuels and manage the risks posed by climate change. Wednesday, supporters released an open letter signed by more than 5,200 employees calling on CEO Jeff Bezos and the board of directors to support the resolution. In the open letter, the employees also asked Amazon to stop offering its cloud services to the oil and gas industries. Still, the move could be a harbinger of a new genre of activism for stock-laden tech workers, as employees grow more outspoken about the direction of their employers, from petitions, to walkouts to group organizing. Politically or socially motivated shareholder proposals are usually the territory of outside activist investors or advocacy groups, says Professor David Larcker, director of Stanford’s Corporate Governance Research Initiative, so it’s particularly unusual to see a coalition of employees using their earned shares in this way. Tech giants like Amazon may have their own company ethos to blame. For tech workers, shares of stock (or stock options) are a common part of compensation packages, allowing employees to use their stake in a company as more than just a golden ticket to millionairedom. Amazon workers’ climate change shareholder proposal was filed in December, and will be put to a vote by shareholders at the company’s annual meeting on May 22, along with 11 other shareholder-backed proposals. The litany of issues raised in these proposals speak to many of the most pressing controversies facing the company. One asks the board to stop selling facial recognition technology to government agencies until an independent evaluation confirms that it isn’t a human rights violation. Another asks Amazon’s board to commission an independent study to determine the extent to which its facial recognition tech disproportionately targets people of color and immigrants, and is being marketed to authoritarian regimes. A third asks the company to produce a report on its plan to address hate speech and the sale of offensive products—including “racist, Islamophobic, homophobic and anti-Semitic items”—on its platforms. Another requests a review of the company’s sexual harassment policies; one asks for more transparency regarding the lack of ideological diversity on the board; and yet another asks for data on the global median pay gap between male and female employees. Most boards initially recommend against shareholder proposals, he says. But he says the proposal and company response are just the first stage of a debate between Amazon employees and management that will evolve over the next month.